Wirtland's population is not only growing fast. Witizens are becoming an active community, with its own market, start-ups, jobs. Here are two recent projects by witizens and for witizens. Paul Miller has created "Merkato Virtlando", a beautiful marketplace for Wirtland (link). Everybody is invited to explore this website and share comments and ideas. Hopefully Wirtland will have more projects like that. Seems like a logical strategy for a cybercountry! We are looking for webmaster to create a "party web-page". Looking for a witizen with experience in social networks, who is accessible and responsible. This page will be targeted mainly at Turkish people, so command of Turkish language is important. However, if Turkish is not available, English can do. Salary is negotiable. I'm going to donate 10% of project's profit to Wirtland. Virtország! Do you speak Hungarian? Hungarian Wikipedia became the 6th Wikipedia to feature Wirtland. Another beautiful new name for Wirtland was born - Virtország! This is excellent news, of course, and the link is here. However, the article seems a bit too short. Such rudimentary articles are often deleted by the Wiki system, unless users add flesh to them. One of witizens told us about this article. She said she tried to expand it, but could not save the updates, because Hungarian is not her mother tongue, so she probably lost her way in the Wiki commands. Now, some help from Hungarian-speaking people would be appreciated, to save that Virtország Wiki entry. So, we are asking: Magyar, anybody? 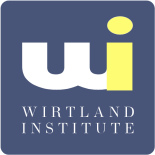 The Wirtland Institute (WI) was founded in March 2010 as a center for research, analysis, and professional dialogue in the area of new forms of statehood, pertaining to their social, legal, political, economic, and other aspects. WI is conceived to become Wirtland's "think tank" and produce policy recommendations for the first sovereign cybercountry. WI is independent from the government of Wirtland; WI's authors and experts are not limited to citizens of Wirtland. The founders will do their best to keep Institute neutral and free from any political or ideological bias. The Wirtland Institute welcomes high-quality contributions from international experts. WI opens with publication of article by Thomas Frey, Executive Director at DaVinci Institute, entitled "The Virtual Country: Six Possible Scenarios for the Creation of Viable Virtual Countries". "Emerging forces in globalism has given rise to the notion of creating Virtual Countries, countries without land and without borders. Citizens of Virtual Countries will live in existing land-based countries; abide by their laws; and, at the same time, hold two or more citizenships", - points out the author of the article. Patri Friedman, founder and executive director of the Seasteading Institute, welcomed possible cooperation with the Wirtland Institute. He said: "I would be delighted if Wirtland would take on research of questions of sovereignty, which are more general than just seasteading and apply to any nation-founding venture, so that we could focus on the specific issues related to nations on the water". 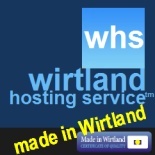 Wirtland institute was appointed with domain name www.Wirtland.org. On behalf of citizens of Wirtland, I extend to the people of Poland and to the families of those killed in the tragic accident my deepest condolences. Wirtland is not listed on the geographical map, but it represents over 1000 people from five continents, and we would like to add our voices to the thousands of expressions of deepest sympathy to the Polish nation on this tragical day. Wyrazy szczerego żalu i współczucia. "Concept such as Wirtland is a new step in development of democracy in 21st century, and Sweden is open to support such initiatives", - Swedish Foreign Ministry spokesman Teo Zetterman said. Wirtland, the first sovereign cybercountry, announced plan to legitimately acquire real land from one (or several) world's countries. Once realized, Wirtland's plan of will be the first case of peaceful formation of a new country “from a scratch”. Sweden became the first country to react positively to Wirtland's proposal. Previously Sweden was among the first to open Embassy in "Second Life" virtual world. According to Proposal, “The Kingdom of Sweden officially assigns a piece of its territory, of any quality and size, to Wirtland. Sweden will have a major stake in future sales of land from this territory, agreed in contract”. Thereby the virtual state takes hold of official territory, which later would be offered for sale to people willing to become citizens of new country. The quality and size of territory do not matter: Wirtland will remain virtual community, as no buyer will physically move to Sweden. Presence of defined territory is a necessary condition for diplomatic recognition of Wirtland by international community, according to Montevideo Convention on the Rights and Duties of States. According to Article 1, to have sovereignty, a state must have a permanent population, a defined territory, and a government. 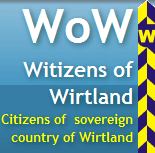 Peaceful acquisition of even a small piece of territory by virtual community is a unique historical precedent, which opens door towards full official recognition of Wirtland, legitimization of Wirtland passports and other documents issued by virtual state. Wirtland (www.Wirtland.com, www.Wirtland.net, www.Wirtland.org) describes itself as an experiment into legitimacy and self-sustainability of a country without its own soil. Founded in 2008, Wirtland represents people from all five continents. Wirtland grants citizenships, issues ID cards, mints gold and silver money, is featured in Wikipedia, and has won considerable coverage by television and press. Sweden was among the first nations to open official Embassy in "Second Life" (a virtual world).